It ordered the authorities to complete formalities for floor test, including request to the Election Commission, by Wednesday. The Supreme Court on Tuesday refused to stay the swearing-in ceremony of BJP leader Manohar Parikkar as the Chief Minister of Goa. 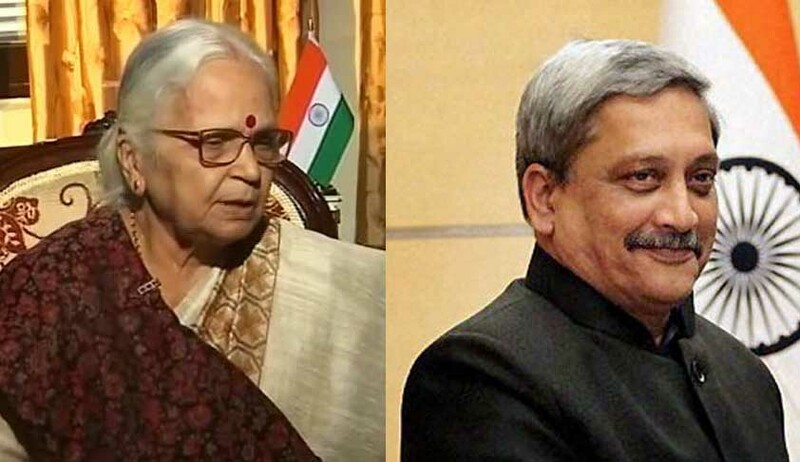 A special-three judge bench, headed by Chief Justice of India JS Khehar, requested Goa Governor Mridula Sinha to conduct floor test on Thursday. In a special hearing on Tuesday, the bench ordered the authorities to complete formalities for floor test, including request to the Election Commission, by Wednesday. The Supreme Court is vacationing on account of Holi. The court, in its an hour-and-half long hearing, rejected the Congress party’s argument that the Governor failed to even consult the Congress, which has emerged as the single largest party in the Assembly polls. The BJP placed the number of 21 elected members to form the government under the leadership of Manohar Parrikar. The BJP has 13, three from the Goa Forward Party, three from the Maharashtravadi Gomantak Party and two independent MLAs. Goa Congress unit had moved the SC against the Governor's invite to appoint Parikkar as the CM.